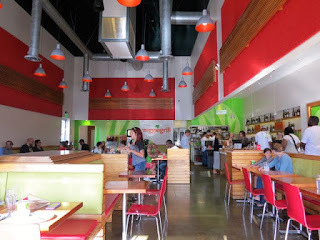 I first visited the Veggie Grill back in 2013. 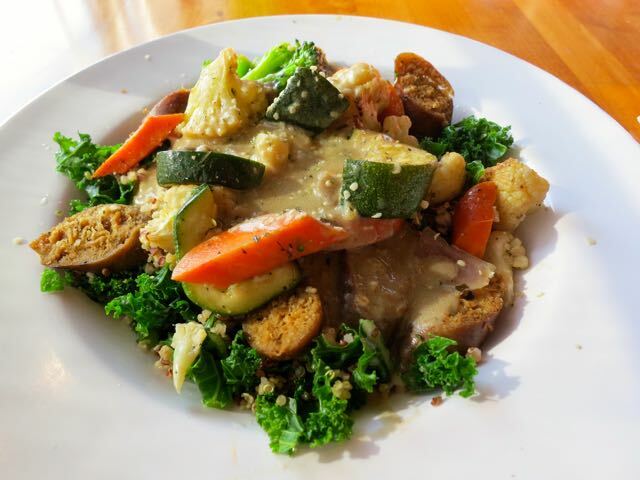 As a very casual cafe, you really go here expecting a good, comforting, wholesome vegan meal. And on this trip, it was no different. I had just completed 15 skydives over the past three days and I wanted some real food. 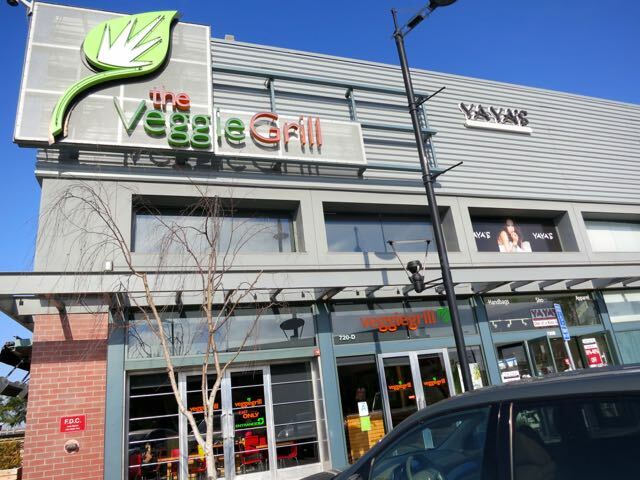 Luckily, my hotel was just 10 minutes away so the journey to Veggie Grill was a short one! 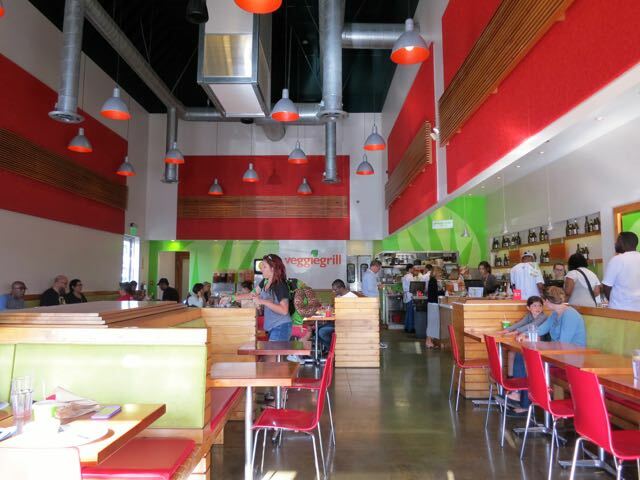 Veggie Grill has restaurants all over California as well as other states, but this particular one was located in plaza in El Segundo. I kept it simple and ordered the Harvest Bowl because veggies and Field Roast sausage sounded really good at that moment. They brought it out to me in just a few minutes. Atop a bed of kale and quinoa was roasted zucchini, carrots, broccoli, cauliflower, and Field Roast sausage in a porcini mushroom and miso gravy with hemp seeds. And, I thought it was okay. It was hearty and filling and good, but nothing to really write home about. I appreciated it just the same. For $10.95, I did feel that I got my money's worth. The All Hail Kale salad I got the last time I was here impressed me a bit more. 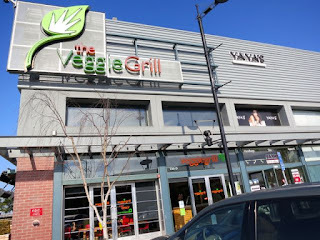 They have an extensive menu of snacks, bowls, salads, and sandwiches and although you are always going to get fairly simple meals at Veggie Grill, some are definitely better than others. Pass the hot sauce, please!